Match Up With Mum and Dad's Favourite Beverage. Perfect Accessory To Take On The Go. 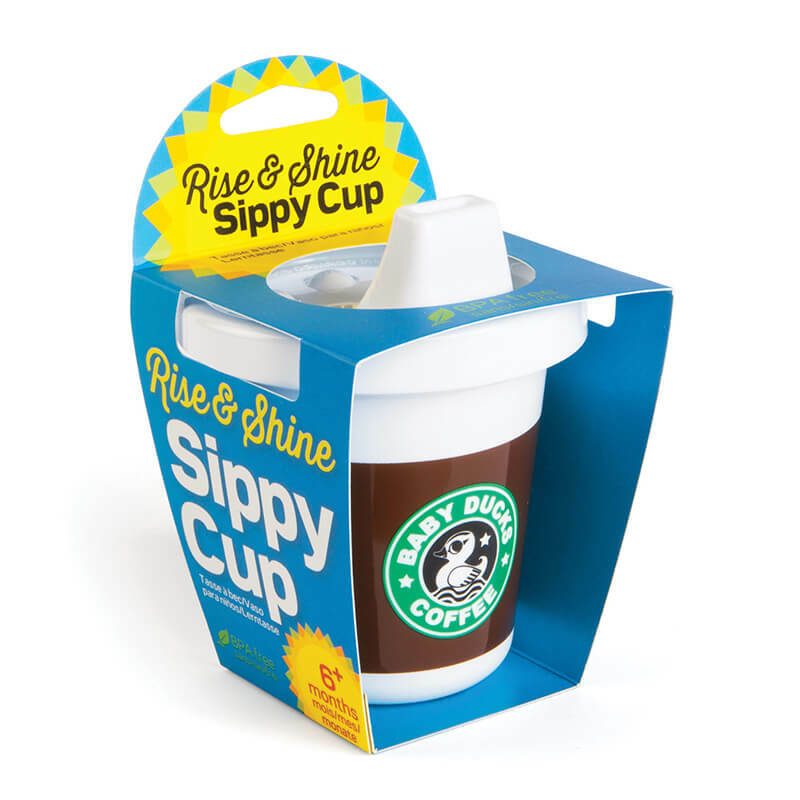 With this Rise and Shine Sippy Cup, your little one will finally be matching with Mum and Dad's favourite beverage. Each morning you can invest a few minutues to share your morning routine together, as you nurse your cup of coffee your little one can be sipping away in style on their favourite beverage served in their cool Rise and Shine Sippy Cup. No time for a relaxing morning ritual? No problem at all. This cool sippy cup's removable lid was designed to prevent spillage, so it's the perfect unique accessory to take on the go. Fully dishwasher safe and BPA Free, safe to use and easy to clean. Holds 207 mL.